Clients who participate in our wellness program are considered kama’aina at the spa. Malama Kama’aina! Malama means to “care for” and our plan is about caring for you. As kama’aina, you receive a host of benefits designed to help you better avail yourself of our wellness-oriented services. You also receive benefits that help you share the healthy spa lifestyle with friends and family. Our Wellness Plan has NO TERM. You can cancel anytime. 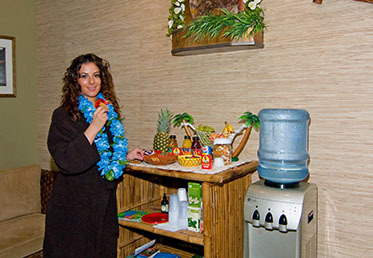 See all client comments and reviews of Hawaiian Experience Spa.
" It has been hard for me to find a quality massage therapist. After thorough review, I decided to try Hawaiian Experience Spa. The staff was very welcoming and kind. I will be back again for a massage. Massage Heights and Massage Envy are not comparable to the Hawaiian Experience Spa. I will be back again. " " “The membership program is a fabulous deal! Haven’t seen another one like it! So glad that I joined! Thanks Hawaiian Experience!” "
" “I had such an amazing massage, that I already told my wife about it and I will be telling other friends in the area. All staff that I ran into were extremely friendly and Nikki, my massage therapist, was amazing. I haven’t had very many massages, but she is the best massage therapist that I have had by far. I signed up for the membership after my massage and cannot wait for my next appointment!” "